Located in Connecticut, Professor Walter Vale, a recent widower, has an incredibly boring life. he teaches a class at the local college while also attempting to learn the piano, despite having no actual talent in music. He is assigned to go to a conference concerning Global Policy and Development where he gives a lecture. When he returns, he finds a Syrian musician living near his building, who is a talented musician but is not able to find anywhere to live. So, Walter brings him in, but must quickly find a way to keep him in the country legally without being deported. 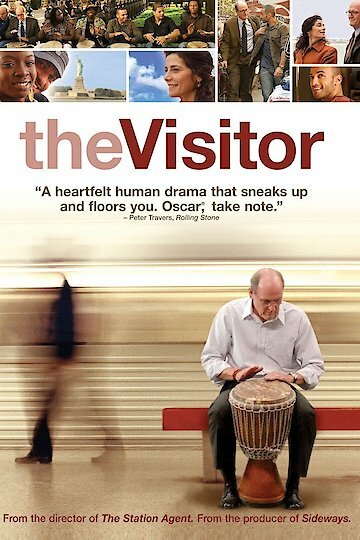 The Visitor is currently available to watch and stream, buy on demand at Vudu, Google Play, iTunes, YouTube VOD online.